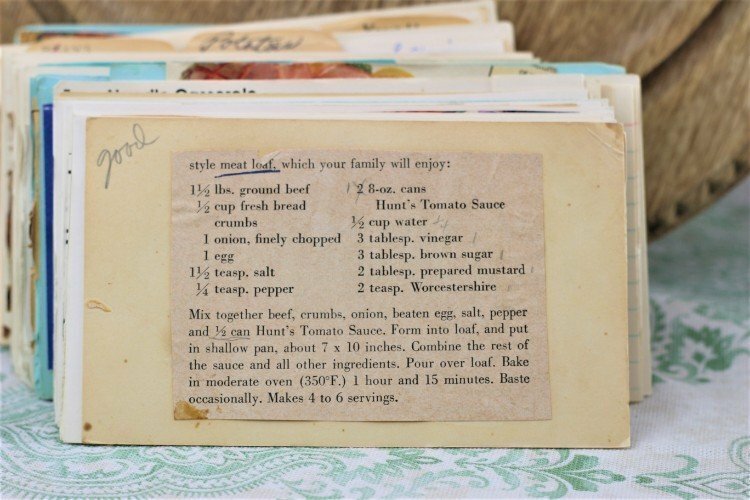 Front of the recipe card for Meatloaf. 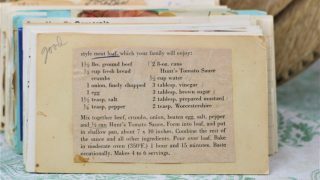 There are lots of fun recipes to read in the box this recipe for Meatloaf was with. Use the links below to view other recipes similar to this Meatloaf recipe. If you make this Meatloaf recipe, please share your photos and comments below! Mix together beef, crumbs, onion, beaten egg, salt, pepper and ½ can Hunt's Tomato Sauce. Form into loaf, and put in shallow pan, about 7 x 10 inches. Combine the rest of the sauce and all other ingredients. Bake in moderate oven (350°F.) 1 hour and 15 minutes.